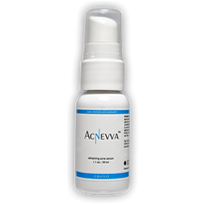 It’s no secret that Accutane is arguably the most potent acne treatment available today. 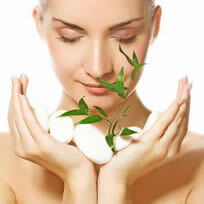 Along those lines, due to its potency, it’s also become one of the most controversial acne treatments today. Many health experts and dermatologists have argued that Accutane is extremely dangerous for teenagers to use, many of which are already feeling the effects of major hormonal changes. According to those who advocate against the use of Accutane, studies have shown that this acne medication can severely alter mood and lead to major bouts of depression. In this article, we’ll take a look at the risks associated with Accutane and why many people are starting to avoid this highly effective, yet extremely dangerous acne-fighting medication. In the past three decades, 140 suicides have been linked directly to the use of Accutane. This figure was brought into the limelight and to the attention of the media and health community in 2001 when a congressman expressed fears about the drug after his son committed suicide while on Accutane. This led to numerous studies and trials dedicated to finding out the emotional and mental health risks involved with the use of the drug. Along those lines, mental instability is not the only health issue related to Accutane. 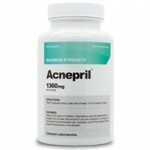 Many physical ailments have befallen patients who have used this potent acne treatment as well. Since its inception, there have been a number of cases where patients on Accutane have reported numbing and disturbing physical side effects. Not only have these physical ailments affected Accutane users themselves, but the drug has also proven harmful to unborn children as well and has led to cases of birth defects. That being said, women who are sexually active and planning on taking Accutane are now instructed to use two forms of birth control while on the medication. Further, Accutane has also been associated with bone, muscle, abdominal, and brain problems as well. You can also include hearing and vision problems in the mix, as well as cholesterol levels spiking due to Accutane use. The list, more or less, goes on and on when it comes to the dangers of Accutane. As such, those who are thinking about using Accutane must determine whether the health risks are worth it or not. Acne can be a very frustrating and debilitating disease to combat. As such, risks may have to be taken in certain cases, including the risk of considering a highly potent drug such as Accutane. We should note that there have been plenty of users of Accutane who have suffered no more than minor side effects associated with its use. And for the most part, Accutane is usually very capable at destroying even the worst acne cases around. So if you’re currently considering the use of Accutane, you need to determine how desperate you are for help. If you only have a mild to moderate form of acne, the risk attached to Accutane may not be worth it, and you will probably be better suited to consider a more conventional option. Then again, if you’ve tried everything you can think of, Accutane may truly be your last resort. We like to think of Accutane as the be-all-end-all. It should be the end of the line and your very last option when all else has failed. Of course, there are plenty of those out there who would disagree with this. For these people, the cons associated with Accutane are much too dangerous to overlook. In the long run, these anti-Accutane advocates may just be right. For now, Accutane is still currently being administered and used due to its effectiveness. But with more research being poured into this drug and lots of pressure on the FDA to ban this highly controversial drug, the death of Accutane as a prescription and legal drug could be right around the corner. Comments on "Is Accutane Worth It?" Leave a Comment about Is Accutane Worth It? here. Pros and Cons for all kinds of medication, and Accutane has it all. What we must remember is that in 99.9% of the users it works. We must also remember in suicidal cases, these individuals are already hurting from the acne itself (ie. being made fun of or being stared at by others). It works, again for the majority. I have three sons, and it worked great for two. My third son had an allergic reaction and could not use it. His acne is quite severe and there is NOTHING out there for him. He has cystic acne and major scaring from his acne which is all hormonal. He is bombarded by adults staring and making snide comments as he walks by. I, as a parent has to boost his inner self. It hurts me when adults stare (they litterally do a double take and turn around), children on the other hand do not know better and he himself ignores them. Dermotologist has nothing for him. We just have to continue to cleanse the surface and wait it out. If only the Acutane had helped. Yes, he is down on himself, but like I said, you boost the child. Acutane works, regardless of the side effects that occurr.